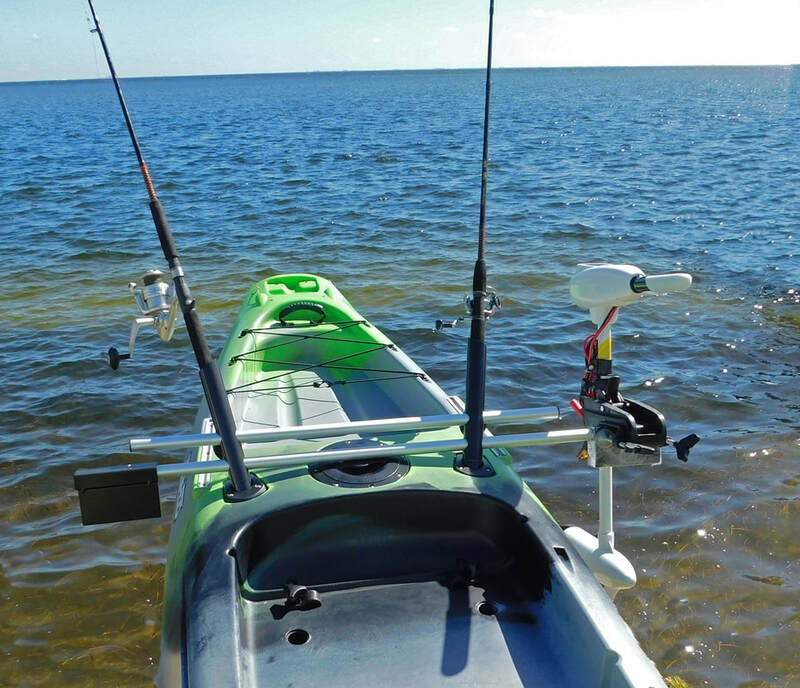 Designed to fit Kaku Wahoo 10.5 and Wahoo 12.5 kayaks with built-in Rods Holders. 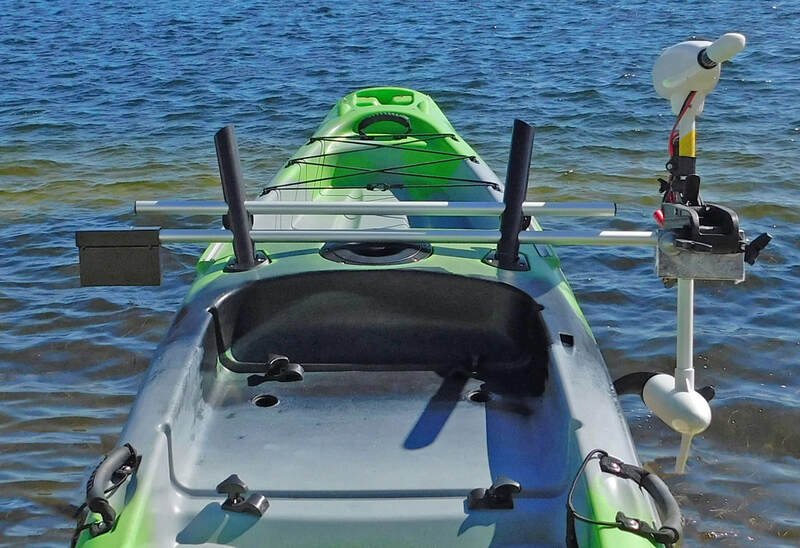 Easily slips into your existing kayak rod holders without the need to drill holes in your kayak. 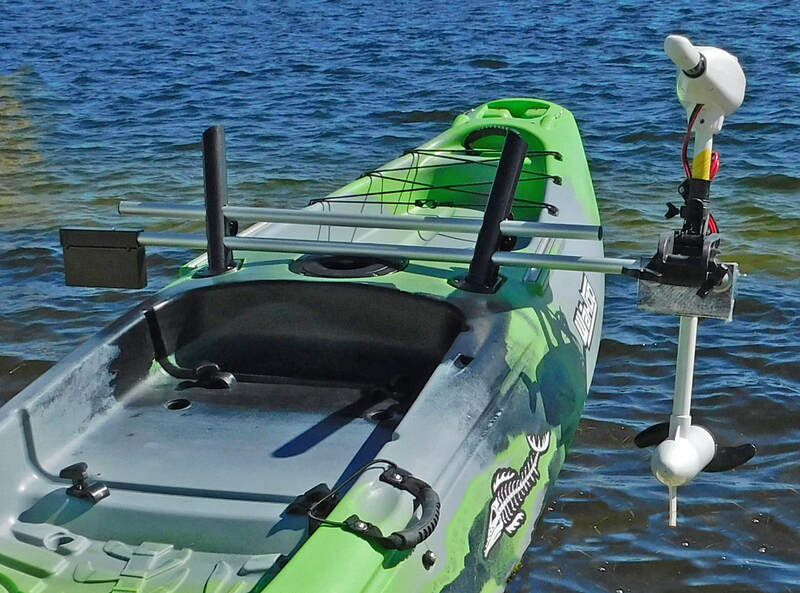 Island Hopper Kayak Motor Mount for handles up to a 55lb thrust of power. The Kayak Motor Mount you order will be kayak specific. Protect your investment with an Auto Reset Fuse. High quality reset circuit breaker.